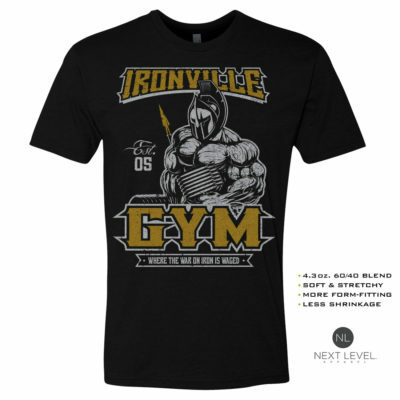 Soft Blend Premium Fitted T-Shirts Archives - Ironville Clothing Co. These are the soft and stretchy blend t-shirts Ironville fans have been asking for. Enjoy these Next Level premium fitted tees made of extremely comfortable 60/40 combed ring-spun cotton / polyester blend. All are available with FRONT or BACK side print choice.